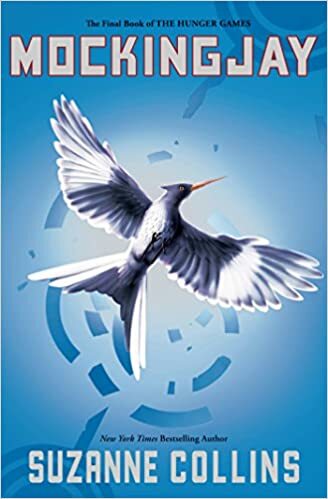 Regular readers of this blog will know that I've been clicking frequently to request Mockingjay (The Final Book of The Hunger Games) on Kindle. It was only a pre-order for hardback, but yesterday I noticed that a Kindle pre-order had been introduced! Excellent! This time we won't be waiting a year for the ebook version; Scholastic Press are letting us have it at the same time as the hardcover. In addition, Amazon are setting the Kindle ed. price, not the publisher: that means it's currently at $8.45 - the same as Amazon's price for the hardcover. Not sure what will happen to it post release, but I've pre-ordered at this price. Hi just stopping by to say you have a blog award on my site. Come check it out. lucky you who lives in the U.S. i live in the Asia/Pacific region and Mockingjay has not been made available to us. i tried finding out if it is available in all other regions (except the U.S.), no can do. i've written the publisher about this (on advise of amazon), but so far i've not gotten any feedback. could you perhaps help? i don't know why i can order the hardcover copy, but not the digital one. I wrote to Scholastic last week to ask. I sent it to their International dept. but the only response so far was them saying I should ask the US department. I'll try again! Hope you get it soon. We waited for months to get Catching Fire in ebook version after the HC was released.